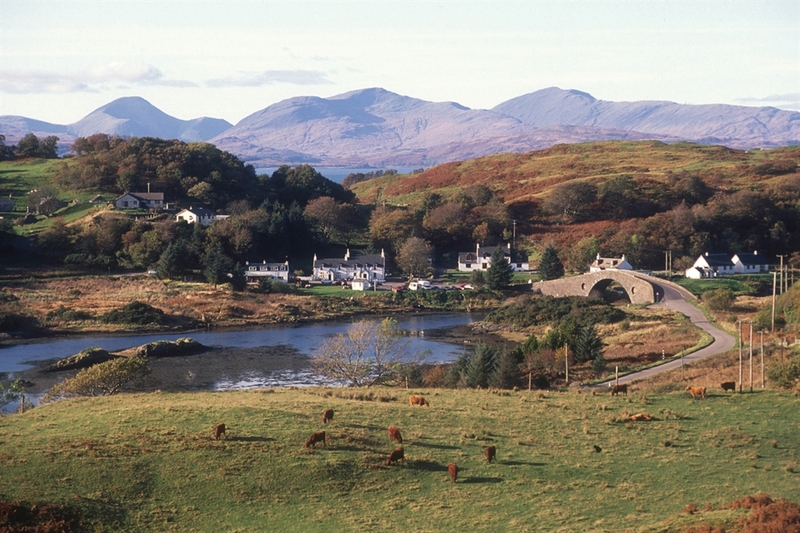 The Isle of Seil lies some 12 miles south of Oban. 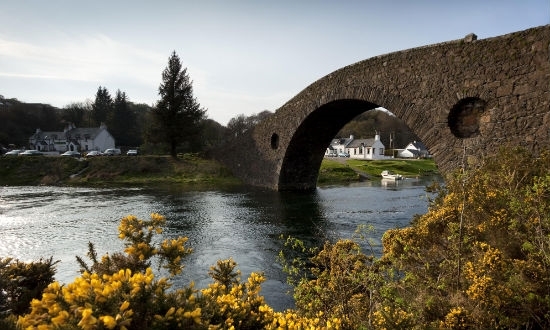 Seil is separated from the mainland only by the thinnest of sea channels which is spanned by the elegant 18th century humpback Clachan Bridge, popularly known as the 'Bridge over the Atlantic'. The island's main village, Ellenabeich, comprises neat white terraces of workers cottages crouching below black cliffs on the westernmost tip of the island. Confusingly, the village is often referred to by the same name as the nearby island of Easdale, since they formed an interdependent community based exclusively around the slate quarrying industry. Ellenabeich has featured in a number of TV and films including Para Handy and Ring of Bright Water. The village's main attractions are the gardens of An Cala with its glorious azaleas and Japanese flowering cherries in early summer and the Scottish Slate Islands' Heritage Centre which is housed in one of the little white cottages. Seil also boasts a 9-hole golf course and a popular yacht anchorage at Phuilladobhrain, Balvicar on the island's east coast. VisitScotland / Paul Tomkins, all rights reserved. The Clachan Bridge known as Bridge Over The Atlantic crossing the Clachan Sound to the Isle of Seil (beyond), Argyll VisitScotland / Paul Tomkins, all rights reserved. The Clachan Bridge known as Bridge Over The Atlantic crossing the Clachan Sound to the Isle of Seil (beyond), Argyll VisitScotland, all rights reserved. LOOKING DOWN TO THE HUMP BACKED CLACHAN BRIDGE THAT FAMOUSLY CROSSES THE ATLANTIC TO THE ISLAND OF SEIL FROM THE MAINLAND, ARGYLL & BUTE. VisitScotland / Paul Tomkins, all rights reserved. 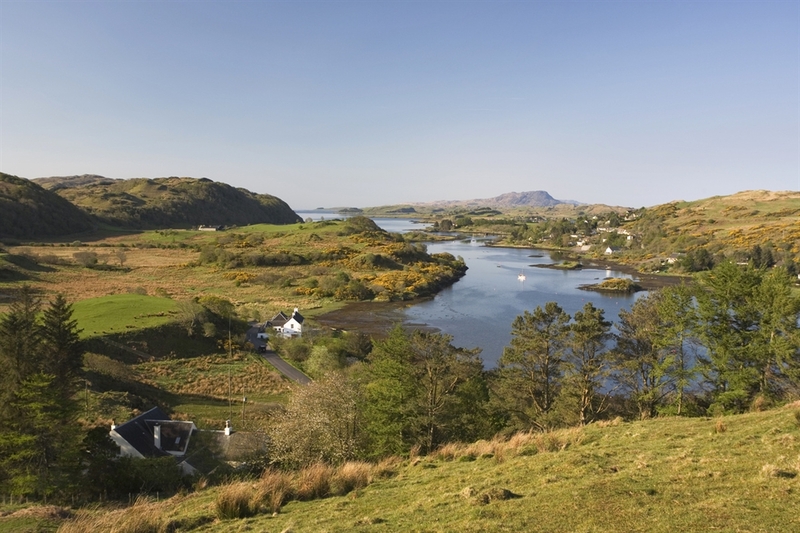 VIEW SOUTH FROM NEAR CLACHAN BRIDGE WITH CLACHAN-SEIL ON THE ISLE OF SEIL ON RIGHT, ARGYLL.